Happy Tuesday everyone.. I'm up on the Newton's Nook Designs Blog today with a Fall card using the new Autumn Newton Set and coordinating Dies. 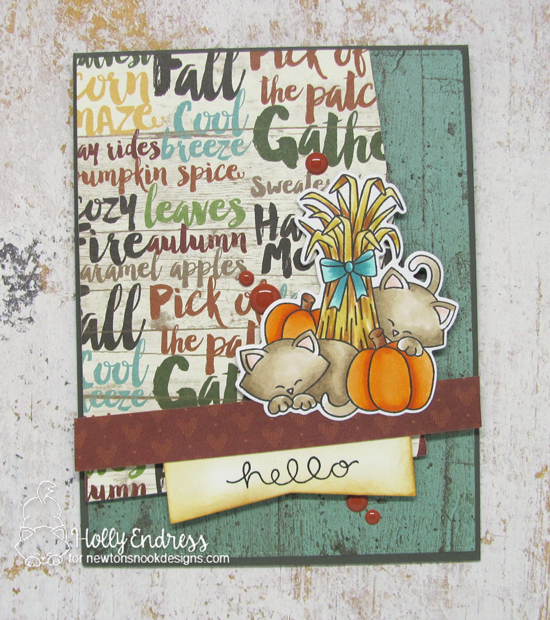 I created a Grey card base and I added some Pumpkin Spice papers from Echo Park that I die cut with an MFT Blueprint. I stamped the sentiment from Winston Takes Flight onto a Piece of White cardstock that I die cut and then I added some Scattered Straw and Vintage Photo Distress Ink around the edges. 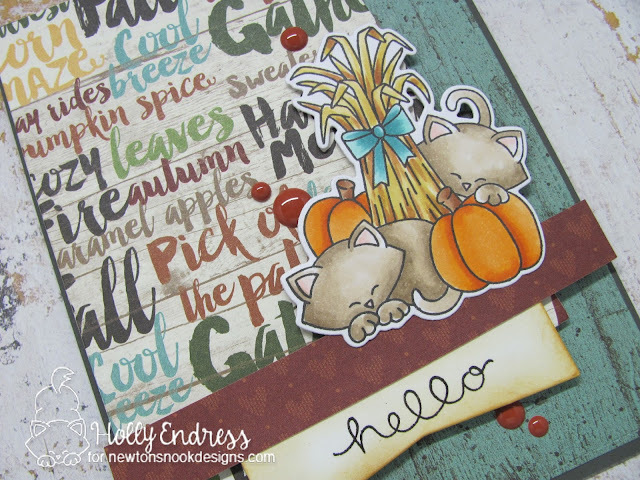 I stamped the image from Autumn Newton in Copic friendly ink and colored it in using colors similar to those in the pattern papers. I used the coordinating dies to cut it out. I adhered the image with some foam tape and added a few coordinating enamel dots from the Pumpkin Spice collection. Be sure to head over to the Newton's Nook Blog for more inspiration from the Team! !